The kind folks at Andersons in Encinitas (thanks Mike!) sent the proof for the Caustic Soda – A Year Future Narco Romance. 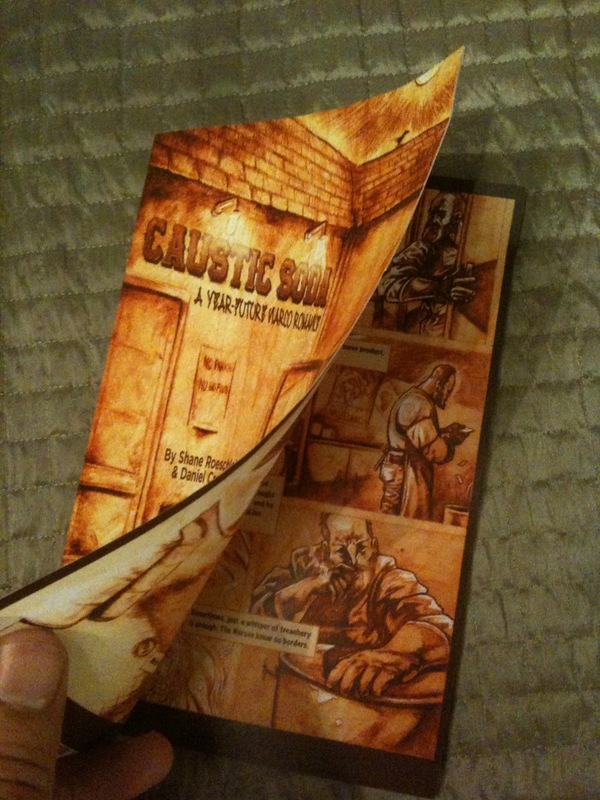 This 3-page, folded 8.5×11 mini-comic will be available at SMALL PRESS K14 at ComicCon this weekend. Also, illustrator Daniel Crosier will be hanging with Sideshow performers The Enigma (X-Files, Ripley’s Believe It Or Not) and Serana Rose, at the table Friday promoting their Show Devils comic book. Looks like I’ll be there on Saturday for a few illusive minutes. Stop by and pick up a copy!